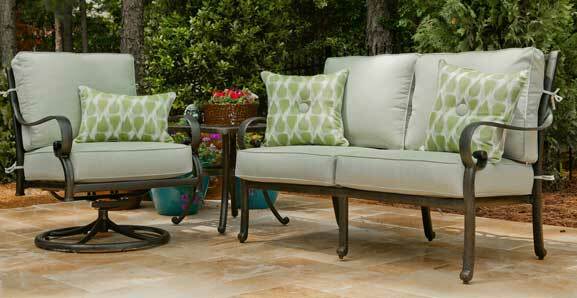 Fleet-Plummer has the Triad's most beautiful and durable outdoor patio furniture available. Come see our wide selection of replacement cushions today! Finding cushions to fit existing furniture isn’t always easy. That’s why it’s best to order custom-made cushions that are made for the size and shape of your furniture! You can take measurements directly from your furniture or you can measure the cushions you’re trying to replace. 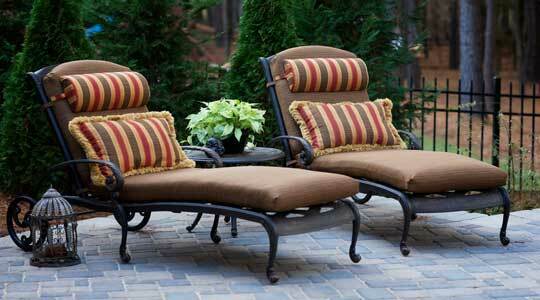 Keep in mind that old cushions may have flattened out over time. Bring your cushion measurements to Fleet-Plummer and we can help you find the perfect replacement cushions for your furniture.